See Another World Premiere at Zaccho! Join Zaccho Dance Theatre for the world premiere of A Poet's Love, a new work by choreographer Joanna Haigood and Brooklyn-based tenor/actor José Joaquin Garcia. A Poet's Love is a new creation based on the Dichterliebe song cycle by classical German composer Robert Schumann, set to the poetry of Heinrich Heine. 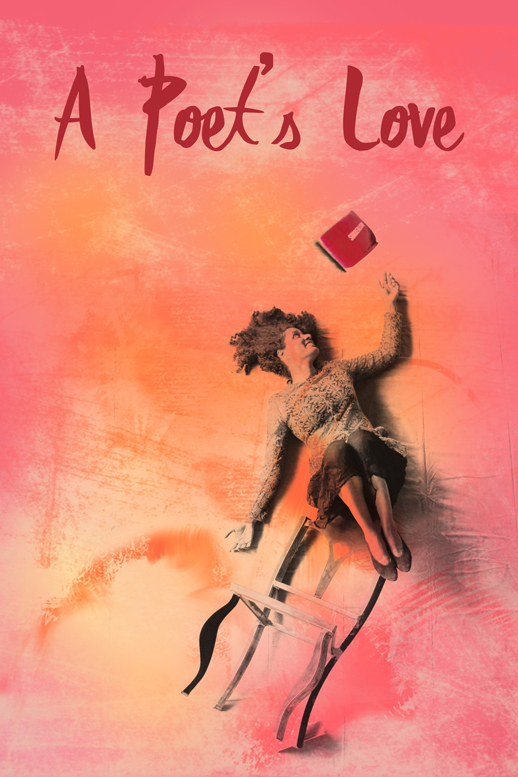 A Poet's Love takes the form of sixteen discrete vignettes, each one responsive to and deeply immersed in the musical and poetic context of a song in Dichterliebe. Zaccho Studio in San Francisco. Adult Classes and Workshops are Starting September 14th! The Zaccho Center for Dance and Aerial Arts offers aerial yoga, dance and various aerial workshops every month. Get started dancing and swinging before the classes are full by registering HERE. Contemporary Dance Class: Combining various dance techniques from his training and experience as a performing artist, Zaccho company member Travis Santell Rowland will fuse theatricality and luscious movement into a fun workout. Windows Workshop: Discover or improve your technique on the amazing and unusual Window apparatus with Zaccho Artistic Director Joanna Haigood. Workshop is comprised of 3 ninety-minute classes this September and October. Joanna premiered the The Visitors during the 'Rock The Garden' Artist Residency Alumni Celebration at Montalvo Arts Center in Saratoga, California, with performing artists Zoe Klein, Adonis Damian Martin Quinones and Clare Whistler. Find out more about Montalvo Arts Center at montalvoarts.org. Then, off to the New York for Dancing Through the Bronx, where Joanna served as Artistic Advisor for Dancing in the Streets' latest site-specific festival. Read the reviewHERE. Joanna rounded out the summer with a performance at the Equal Justice Society's Annual Gala on September 9th, celebrating the 50th anniversary of the Voting Rights Act of 1965. She collaborated once again with Steven Anthony Jones and Marcus Shelby. Find out more at equaljusticesociety.org. Here's treat for the eyes straight from Zaccho's Studio in Bayview. Zaccho's SummerArtist in Residence, Amy Seiwert's Imagery, was featured in a film showcasing slow motion technology at Zaccho Studio. If the words 'slow motion ballet' pique your interest, check out the video HERE or by clicking below.